Arr.. Still working on bugs & sprites.. Here's a quick look at the new saving feature added! We are getting close to a playable version of the game, as soon more bugs are fixed this will be done. See more below.. Which biome would you like to see the most in this game? 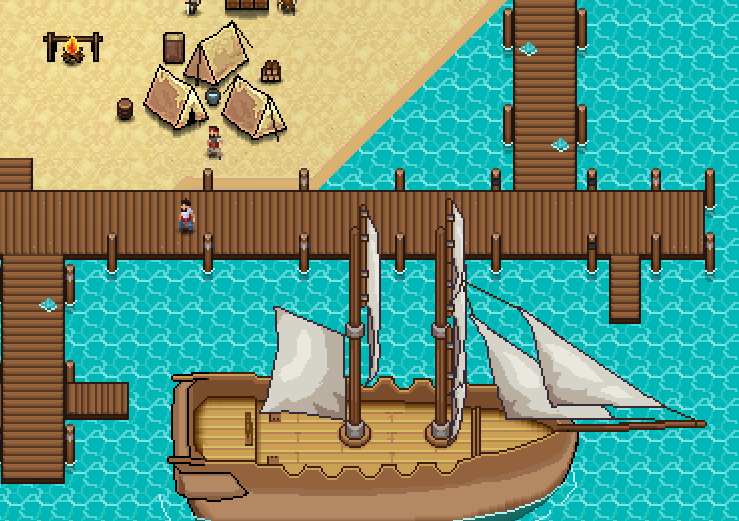 Ahoy from a fellow high-seas game maker! This is looking fantastic. I really like the crafting system you've designed; it looks easy to use and understand, but flexible. Well done! Arr.. StoneTiders! Quick preview of the cloth armor set! This has so much potential! honestly if this game ever gets completed i don't think ill be able to put it down! especially if it were to make it onto the switch! - Skill progression such as mining, wood cutting, strength, defence and all sorts of other skills like crafting to make better sails etc. probably jumping the gun a bit and getting carried away but that seems like the perfect game for me. id pay good money for it haha. StoneTide and NicolandNic like this. see some more bugs to fix, then we will work on adding extra big features! yeah i totally understand, keep doing what your doing and it will be great. ill look forward to something playable! Clouded leopard preview, would you run away or attack this bad boy? Hunting some Leopards at night! Remind me of Uncharted Waters. Looks great. Working on improving the map! What are some of your suggestions for this game? Here's just a short video of me building up the docks on the map! We are getting close to a playable version of the game, as soon more bugs are fixed it will be ready. See more below..
Looks great, btw... Don't forget to submit it to the YYG showcase when you're about to release. What should our next enemy be? Added new Island diagonal tiles! CMAllen and sitebender like this. You will be able to trade these supplies for gold! Short devlog here! 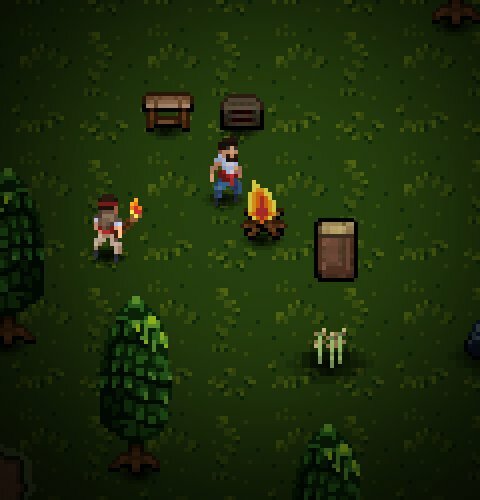 We are just working on the map and adding additional sprites at this point, hopefully we will be back to finishing up a playable version of the game. Join us on discord and let us know if you have any suggestions about the game! Looks great! I am thinking how big you can make the world actually? Is it procedural? Devlogs & Updates will now be posted on social media as we work on a new site, discord will act as a forum replacement. We are still working on the map and adding additional sprites, getting closer and closer to finishing. Any boss suggestions for the future? New Island reworks and game play revealed! Dang! I've been following your project since its startup! Very promising game and gorgeous sprites fam!! The thing I could talk about is the fighting. Some people are very inclined on that feature and the footage I've seen is not that much satisfying. Great job so far though!! Working on those sprites again.. WIN a FREE copy of the GAME! Join our discord for a chance to win! How big should the sharks be?